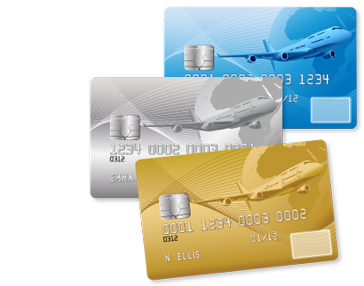 Co-branded Credit Card Portfolio Design | Resource Systems Group, Inc.
A major bank and commercial airline wanted to take advantage of unmet customer needs for higher-end benefits as part of a portfolio of co-branded credit cards. New card concepts were recommended in a 2-phased approach. Phase 1 of the project used adaptive conjoint analysis to determine the relative preferences for 21 different benefits that were being considered for inclusion with cards in the portfolio. Latent class analysis was also used to determine customer segments with unique needs, and lead to a recommendation of specific card concepts to test more fully. Phase 2 of the project used menu-based conjoint analysis to evaluate fee sensitivities and preferences for add-on benefits. RSG recommended a set of three cards that would best complement the existing card portfolio in terms of incremental fee revenue, total card spend, and new acquisitions. A fully-interactive web-based dashboard was presented, giving the bank and airline clients the ability to test acquisition and spend effects for a variety of potential card offerings. The client has updated its co-branded card portfolio, with the addition of a high-end card. This card, which has a much higher annual fee but is rich in benefits, is proving to add consumer reach to the portfolio. In fact, the additional card not only does not cannibalize the other cards, but it also outperforms them along many key dimensions.